The ingredients that we use to make our crackers are carefully chosen: wheat, corn, whey, fat, sugar and salt. 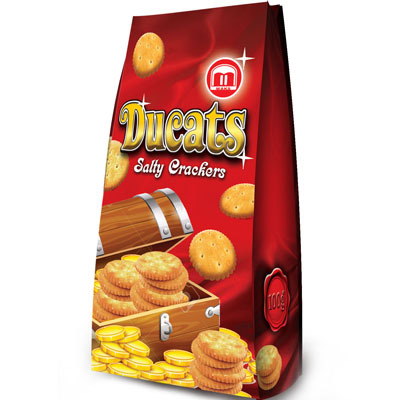 The suitable technological procedures make the unique, well known shape, taste and aroma of our salty crackers. Enjoy our one of a kind combination of flavors.